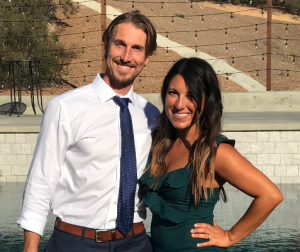 New Wave Essentials was created by Dr. Gina and Paul Hodgson, a husband and wife chiropractic team living in Carlsbad, CA. They have used nutritional supplements and dietary advice for years with their patients to achieve maximum healing benefits and performance. The main focus of their dietary advice on a general level is to focus on a low inflammation diet that also encourages healthy blood-sugars and insulin responses. – a Plant-based protein for the healthy vegan. Each individual may also have specific nutritional challenges and needs as well, however those are better addressed with the help of a professional. We are currently in the development phase of several exciting products to make getting the nutrients you need without the toxins easy and great tasting.